"Bye, Buddy! Hope you Find your dad!" Whether you’ve come to this page because you’ve known me for years, met me at an art event, stumbled across my page on social media, or have been shown my work, thank you for venturing into my creative corner of the world. Born and raised in Denver, Colorado, I grew up in a state celebrated for its vibrant color. Little did I know that would instill in me a love for color that would shape my body of work into what it is today. At the age of 14 I was diagnosed with severe scoliosis and underwent 3 major back surgeries in the course of the next 5 years. Managing chronic back pain is a part of my daily life, but I am endlessly grateful for the ability to stand tall, and to walk, and this has instilled in me an even greater appreciation for the beauty in this world. It wasn’t until my senior year of high school that I departed from my signature hyper-realistic graphite and charcoal drawing and dipped my toe in the wonderful world of painting. With color! I soon left Colorado behind to pursue an Art degree at Pepperdine University in beautiful Malibu, California, where I continued to explore the power of color’s ability to manipulate the emotional response to a painting. I was hooked. 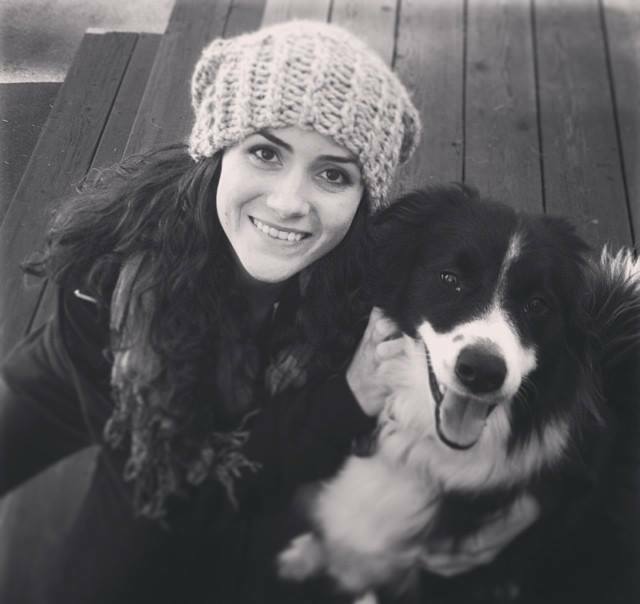 I studied for a year in Italy and traveled around Europe while I was there, gaining exposure to the vast diversity of scenery around the globe. (As an aside, how lucky am I to have lived in three of the most beautiful places on the planet! Is this life even real?!) I caught the travel bug, and I love painting snapshot memories and impressions of my experiences in new places. I spent a couple of years working in the television industry in Los Angeles, but my love for art has pulled me back in and so I embark on a new journey to focus on painting this world in a new and colorful way. This year I began my multimedia company, Narwhal Media, Inc. and am so excited to bring my art to you and the world. I hope you will enjoy what you see here as much as I enjoy creating it. Growing up, I knew - sort of - what a Narwhal was. It was Mr. Narwhal, the claymation tusked whale that rises out of the ice and wishes Buddy the Elf luck in finding his dad. It was a fictional, fantastical creature. Like a unicorn. But for Christmas. 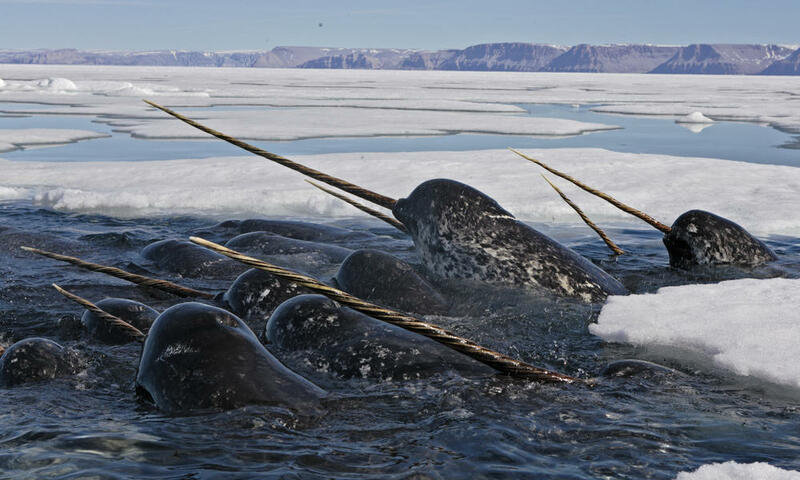 It wasn’t until I was into my early twenties when an internet search - and don’t ask me what led me to search because I honestly don’t recall - revealed to me that … Narwhals actually exist?!? That’s right, they are REAL creatures! Now perhaps you’ve known this as an obvious fact, and perhaps I should be ashamed of my ignorance, but I’ve met enough people who also are unaware of what exactly a Narwhal is that I don’t feel so foolish. Even scientists still have much to learn about them. My discovery of the real existence of these arctic-dwelling whales with a single (or in some rare cases, double) unicorn-like tusk ignited a child-like excitement. What an amazing creature! It was like finding out there are actual, real unicorns out there in the wild. I immediately texted my sisters, my parents, my roommate - everyone I knew - to tell them about my Eureka! moment, as though I were the scientist that physically spotted and discovered the first ever Narwhal. My goal with Narwhal Media is to incite in you that same excitement, with what you discover here on my site, or with we create together.